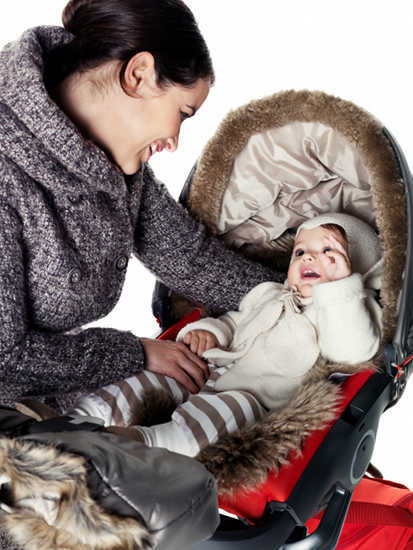 Future owners of the Stokke V3 Xplory will be loving this one! Fluffy, luxurious and ultimately protecting our tiny people from the harsh winter elements are the new Winter Sets from Stokke. They’re being released in the northern hemisphere next month so even though we won’t be seeing it in Australia for quite a while, we couldn’t resist showing you how beautiful the new V3 looks all decked out for winter. The sets are just like coats… except for a pram. Delightful! We’ll make sure to update you when they arrive for our next cold season. In the meantime, let’s welcome in the warmer weather with the Xplory Summer Kits (below) which we’re hoping will reach our shores soon!